The component footprint defines the component mounting and connections on the PCB, and can also include 3D body objects to define the actual component. The component footprint defines the space and connection points needed to mount the physical component on the printed circuit board. It is made up of a collection of simple primitive objects, which could include pads, lines and arcs, as well as other design objects. The pads provide the mounting and connection points for the component pins. Additional design primitives, such as lines and arcs, are often included to define the outline of the component shape on the component overlay (silkscreen) layer. The component footprint can also include optional 3D body objects which define the physical space or envelope of the actual component that is mounted on the board. By defining the physical component using 3D body objects or imported STEP models, 3 dimensional component clearance checking can be performed. 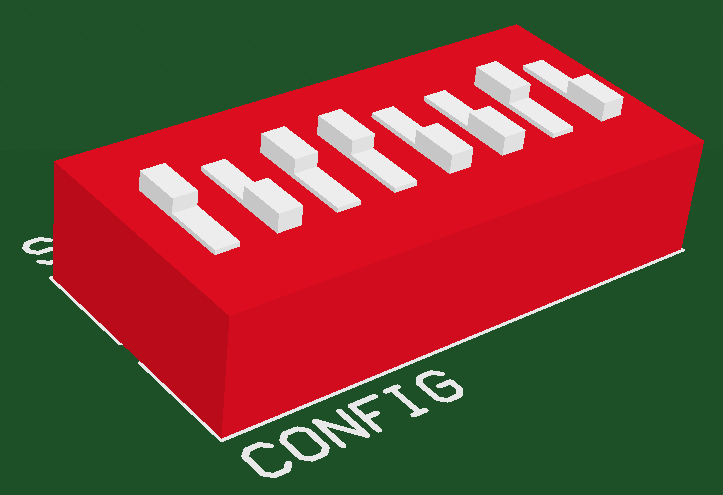 Component footprints are created in the PCB Library editor by placing suitable design objects to create the shape required to mount and connect the component. The component reference point is the origin of the Library editor workspace, which can be set in the Library editor to: pin 1, the geometric center, or a user-defined location on the component. Locate the component in the Libraries panel (View | System | ), and click the Place <ComponentName> button. From within an open PCB Library, click Home | Board | and select Place Component in PCB, to place the current component into the last active PCB document. PCB component footprints are automatically placed from the available libraries when the design is transferred from the schematic editor to the PCB editor. This is called Design Synchronization, which is a process that detects and resolves the differences between the schematic and the PCB. Design synchronization is launched by selecting Home | Project | Project » Update <PcbFileName> from the Ribbon. PCB component footprints (and schematic components) can only be placed from Available Libraries. The term Available Libraries includes libraries that are part of the current project being worked on, or libraries currently installed in the software. Libraries can be installed and removed in the Available Libraries dialog (click the Libraries button at the top of the Libraries panel to open it). Press Tab to edit the properties of the component before it is placed. Press Spacebar to rotate the component anti-clockwise (Shift+Spacebar for clockwise). The default rotation step is 90 degrees, to change this set the Rotation Step value in the PCB Editor - General page of the Preferences dialog. If the component is being rotated, the default behavior is for the Designator and Comment strings is to rotate with the footprint. This behavior is controlled by the Autoposition setting for these strings, the default behavior can be set by pressing Tab to edit the settings before the component is placed. Note that setting the default will not affect any components that have already been placed. 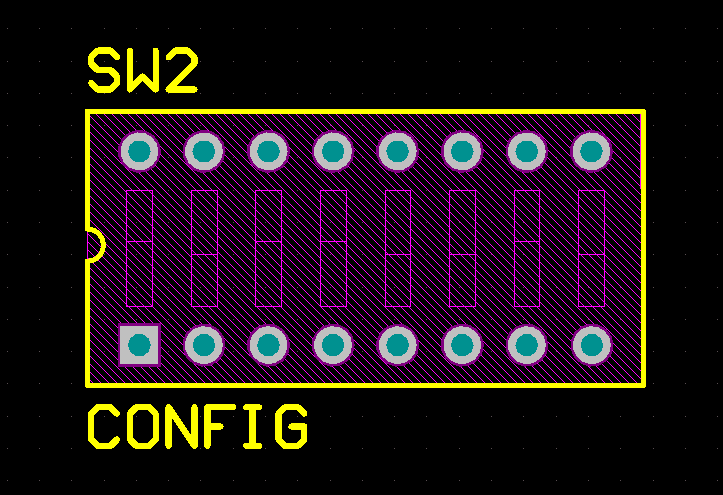 Press the L shortcut to flip the component to the bottom side of the board. Do not use the X or Y keys as this will mirror the part, but not change its layer. Click Home | Place | , the Place Component dialog will open, as shown below. If the footprint name is know, type it into the Footprint field (it must exactly match the actual footprint name). Enter a suitable Designator, and include a footprint Comment if required. Click OK, the footprint will appear floating on the cursor, ready for placement. Use the Place Component dialog when the Footprint name is known. Click the button beside the Footprint field in the Place Component dialog to open the Browse Libraries dialog, as shown below. Select the required library in the Libraries dropdown, and Mask or scroll to locate the required footprint. Select the component and click OK to return to the Place Component dialog and continue with the placement. The Browse Libraries dialog includes a display of the selected footprint, allowing you to visually select the correct component. 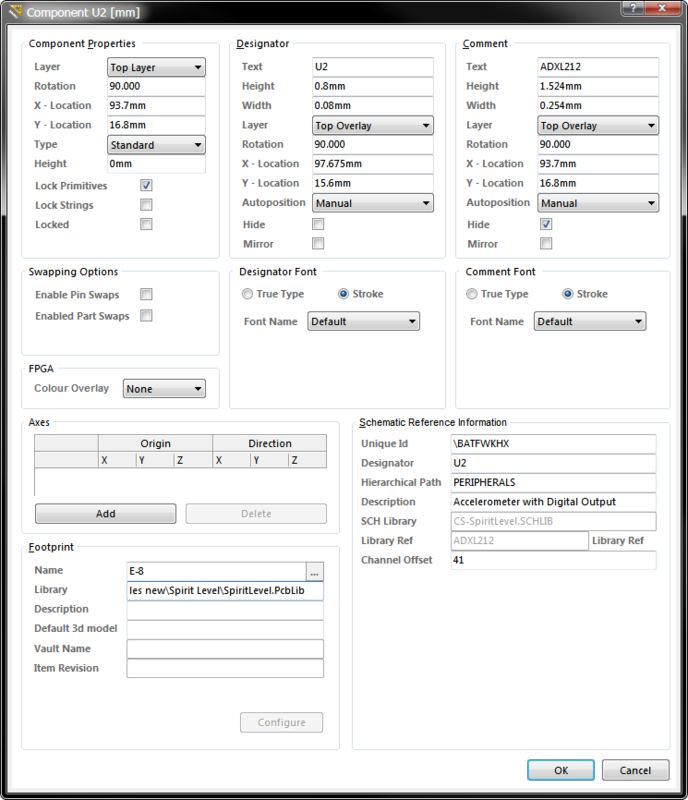 The default setting is to only show schematic libraries in the panel, to enable PCB libraries click the next to the chosen library field, and enable Footprints for browsing, as shown below. Enable PCB libraries for browsing in the Libraries panel. Use the dropdown next to the library name to choose the required footprint library for browsing. In the image below the SpiritLevel pcb library has been chosen. Use the mask field (below the currently selected library field) to filter the list and speed the searching process, or scroll and select the required part. Click the Libraries button to open the Available Libraries dialog and add a different library. Click the Search button to open the Libraries Search dialog and search for a component footprint. Click the Place button, double-click, or click and drag to place the selected component into the workspace. The selected component is ready for placing from the Libraries panel. If you cannot locate the required component footprint in the Libraries panel, use the Search feature. To do this, click the Search button to open the Libraries Search dialog (as shown below). The default search Scope is to search for Footprints in the Available Libraries (as shown by the Scope options in the image below). Alternatively, the Libraries Search dialog also supports searching through Libraries on a path, stored in folders on a drive. To do this enable the Libraries on Path option, then configure the Path options as required. The Filters are logically AND'ed, it can be better to start with a simpler filter and then if there are many results, use the Refine last search mode to search within the results. Search results are presented in the Libraries panel, clustered under Query Results. If the footprint you choose in the Query Results is from a library that is not currently available, the software will prompt to install the library (note that this feature is not available if you click and drag to place). Re-select a footprint library to return to browsing in the panel. Search for the footprint in the Available libraries, or search Libraries on a path. A component can also be placed directly from a library that is open the PCB Library editor. This is done from the PCB Library panel, as shown below. If the panel is not visible, click View | PCB Library | to display it. Click Home | Board | Update » Place Component in PCB to place the current component into the last active PCB workspace. Alternatively, right-click and select Place from the PCB Library panel context menu. While the part is floating on the cursor, it can be edited (press Tab), rotated (press Spacebar), or flipped to the other side of the board (press L) before placement. If a part is placed directly from a library, that library does not need to be added in the Available Libraries dialog first. Right-click on the component in the PCB Library editor to place it, or to update an already-placed component. Press Delete to remove the selected component from the design. Click and hold to move the selected component, the cursor will jump to the component reference point, or the nearest pad center if the Smart Component Snap option is enabled (PCB Editor - General page of the Preferences dialog). While a component is moving on the cursor press the Spacebar to rotate it (Shift+Spacebar to rotate in the other direction). While a component is moving on the cursor press the L key to flip it to the other side of the board. Click once to select a Component or click and hold to move it. Press the Spacebar to rotate while moving. If the component is being rotated, the default behavior is for the Designator and Comment strings is to rotate with the footprint. This behavior is controlled by the Autoposition setting for these strings, which can be edited for each component. The default Autoposition behavior can be set by pressing Tab while a component is floating on the cursor, note that this will not affect any components that have already been placed. To change the text positioning for placed components, use the Tools | Arrange | Move » Position Component Text command. If the Locked property for a design object is enabled, then that object cannot be single-click selected or graphically edited. However, it can be selected using a bulk selection technique, such as dragging a box around an area, or selecting via a panel. If you attempt to graphically modify an object that has its Locked property enabled, such as moving a selection, a dialog will appear asking for confirmation to proceed with the edit. To interactively select and edit that specific object, double click directly on the locked object and disable the Locked property. This method of editing uses the Component dialog to modify the properties of a Component object. The Component dialog can be accessed during placement by pressing the Tab key. Double-clicking on the placed component object. Placing the cursor over the component object, right-clicking and choosing Properties from the context menu.